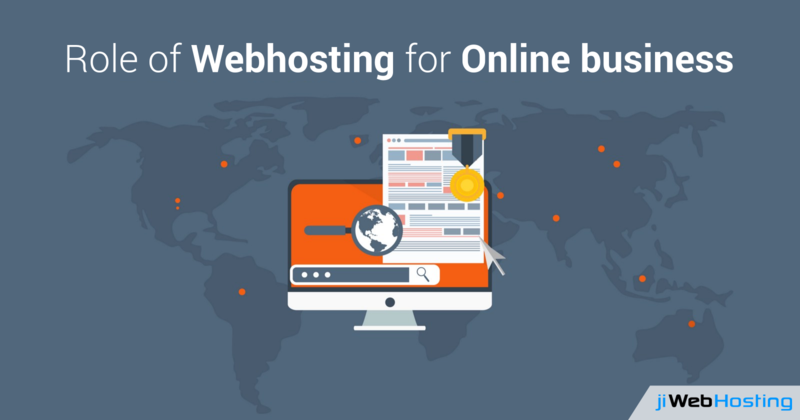 How Webhosting Affects Your Online Business! With the evolution in the technology trends, maintaining an online presence has become as necessary as breathing. Agree? If you don't hold an online presence, you stand nowhere in the market. And once you have setup a website for your business, you need to make sure that your website is available 24/7/365. Even a single page unavailable on the customer's screen is going to put forward inconvenience for customers and reflect a bad name of your brand. So, there seems an urgent need for a solution which can manage and monitor your website all the time. How will a secure web hosting provider benefit your online business? To meet up your website needs and present the best of your services to your users, you need to choose a suitable webhosting provider for your website. Once you get your website hosted from a perfect webhosting provider, you can easily rely on it while delivering the best services to your clients. 24/7 availability of the website, quick loading of pages, and no blank page appearing on customers screen is directly going to reflect a good name of your website and lets the customer enjoy your services. Now you would be wondering that in what all ways will web hosting affect your online business. Isn't it? Let's have a quick glance at it that why is it critical to get it done for your business! Higher Speed for quick response: Remember faster the website pages load, faster the customers will be able to access the website. And in the ever running world, nobody has time to wait while your pages are loading. Rather they'll switch to another better alternative. So, look up for a hosting plan which offers assured speed in order to attain desired outputs. Security comes first: Hackers keep on looking for a single chance to peep into your network and hack the website data completely. This results in a huge revenue loss and distrust amongst the customers. In case yours is an e-commerce website, you just can't risk while losing their sensitive data to the hackers. Because once you are stuck in the hacking attempt, it would take years to recover back. So, look up for a vendor who offers tight security against DDoS attacks and other major hacks to safeguard the website and the customers data. Better Uptime: Removing the unwanted downtime from your website is a crucial step while delivering quality customer experience. You simply can't have downtimes and make the users wait on your website, rather this will reduce your reputation. Get assured from your vendor if he's offering good uptimes or not. If not sure, ask him for their previous clients and get a clear cut idea from it. DNS: DNS is one of the key factors which is usually unnoticed while choosing the web hosting provider. If DNS is down, your website will not work. So, make sure that the vendor is offering DNS services and failover under which all your services gets shifted to another network while the server is down. This will help in offering 24/7 availability of your website to the customers. 24/7 monitoring: A good hosting provider will keep a regular check on your website performance, failure or other errors, downtimes, with 24/7 monitoring services. And in case any errors or updates are required over the website, it will notify you in advance and fix the possible errors. To take your online business to the whole new level, you need to immediately look up for a suitable vendor who can assist you with all the above services. Take your time and look up a suitable vendor which can fit the website requirements accurately. Or you can try our best affordable hosting plans to experience the best!